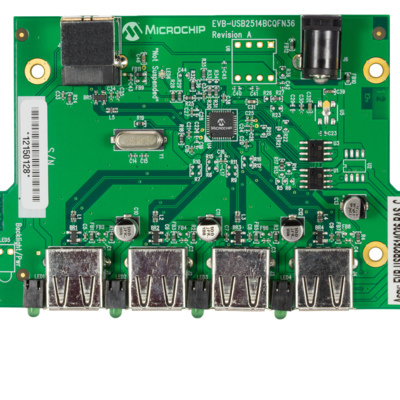 The DT-USB5734 is Microchip’s latest Smart hub design that demonstrates the ease and simplicity of designing in USB Type-C™ connectors around Microchip’s newest 4 port, USB3.1 Gen1 Smart Hub - the USB5734. In addition to the USB Type-C interface, the USB5734 Smart Hub has the ability to expand the reach of the USB host by providing a non-USB bridging “port” to Industry Standard I2C, SPI and UART peripherals. Note that our UART interface will actually appear as a USB5734 COM Port! 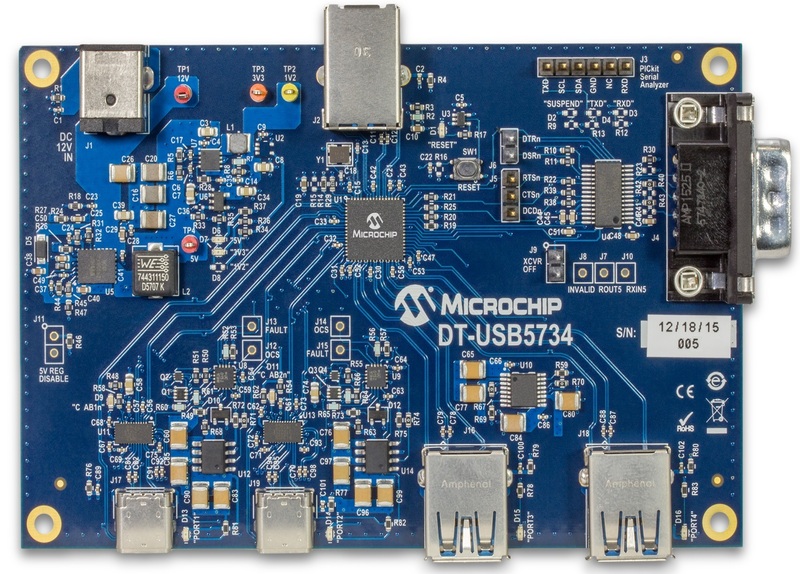 The DT-USB5734 also highlights Microchip’s Port Power Controllers that support up to 45W of DC power and a set of LED indicators letting the user know the orientation of the downstream USB Type-C cable. 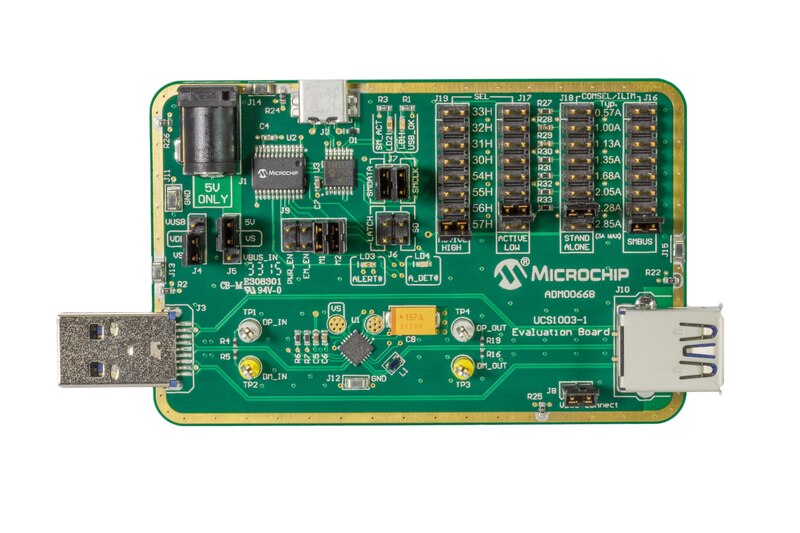 The Low Pin Count USB Development Kit provides an easy, low-cost way to evaluate the functionality of Microchip PIC16F1459 (or other PIC16F145x) 14 and 20 pin USB microcontrollers. The board also supports operation with the PIC18F14K50/PIC18F13K50 pin compatible 20 pin USB microcontrollers. 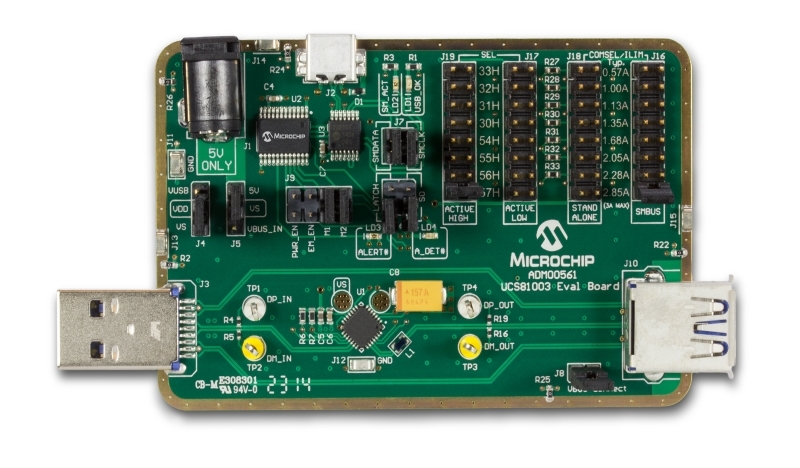 When used with the free Microchip Libraries for Applications software (downloadable from www.microchip.com/mla), the platform provides all of the necessary hardware, software, and code examples necessary to quickly bring your next USB design from concept to production. The DV164139-2 kit contains one (1) fully populated Low Pin Count USB Development Board (with PIC16F1459 DIP-20 device), one (1) PIC18F14K50 Debug Header (with adapter pins), one (1) USB mini B cable, one (1) DB9 Null Modem mini adapter, Quick Start Guide, and one PICkit 3 In-Circuit Debugger. The SEC1110 is a low-cost, low-power, single port Smart Card controllers with USB interface. Using a combination of hardware and software, these devices deliver high-performance and flexible design customization options. The SEC1110 utilize SMSCs TrustSpan technology which enables digital systems to securely communicate, process, move and store information on system boards, across networks and through the cloud. Up-to-date EMV and USB certifications enhance interoperability with all of the latest and legacy Smart Cards and host operating systems. The EVB-USB5806 is a demonstration and evaluation platform that provides the necessary requirements and interface options for evaluating the USB5806,a 6-Port SS/HS USB Smart Hub on a 4-layer RoHS-compliant Printed Circuit Board (PCB). This will allow the user to gain an understanding of the product and accelerate the integration of the USB5806 into the user’s design. The EVB-USB5806 is compliant with the USB 3.1 (Gen1) Specification and supports SuperSpeed (SS), High-Speed (HS), Full-Speed (FS), and Low-Speed (LS) USB signaling for complete coverage of all defined USB operation speeds. 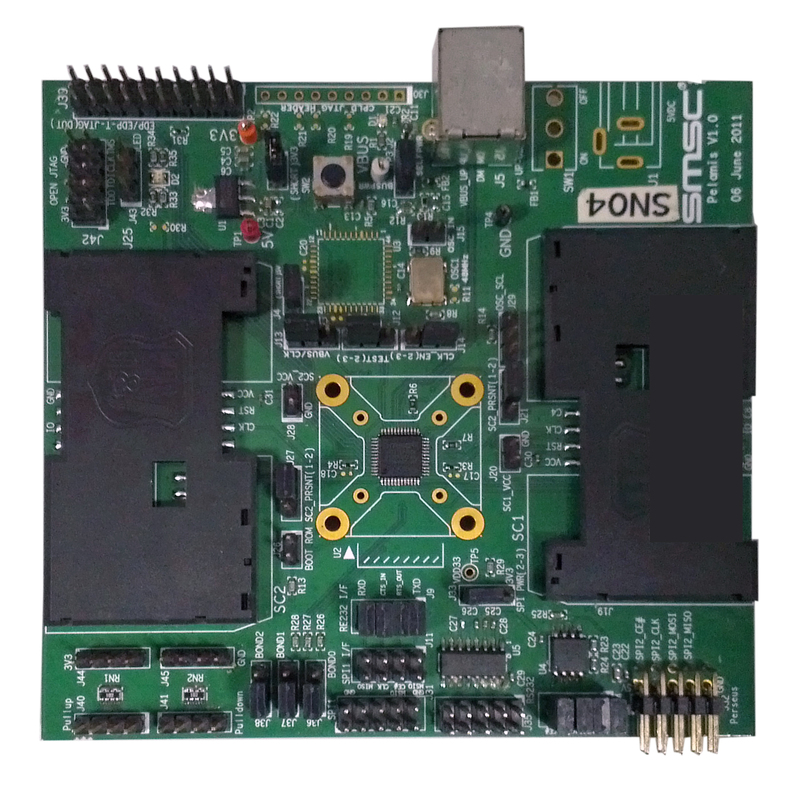 The evaluation platform supports six downstream ports that are USB 2.0 and USB 3.1 Gen1 compliant, battery charging on all downstream ports (maximum of 13A at any one time) and is configured for operation through internal default settings and supports custom configurations through SMBus or through the external 16-Mbit SPI Flash device. The EVB-USB5806 demonstrates driver compatibility with Microsoft® Windows® 8x, Windows 7, Windows XP, Mac OS® X 10.4+, and Linux® hub drivers. The EVB-USB7002 is a demonstration and evaluation platform that provides the necessary requirements and interface options for evaluating the USB7002, which is a 4-port High-Speed (HS), Native USB Type-C SmartHub on a 4-layer RoHS-compliant Printed Circuit Board (PCB). This allows the user to gain an understanding of the product and accelerate the integration of the USB7002 into the user’s design. The EVB-USB7002 evaluation platform supports four downstream ports: two USB 3.1 Gen1 ports with USB Type-C connectors and two USB2.0 ports with Type-A connectors. The EVB-USB7002 platform also supports battery charging on all four downstream ports (maximum of 10A at any one time) and FlexConnect, a role reversal technology that enables ANY of the downstream ports to be the Host (upstream) port. The Microchip Automotive Grade USB 2.0 4-Port Hub is designed, fabricated, tested, characterized and qualified for automotive applications. The USB82514 MultiTRAK™ is a low-power, OEM configurable, full featured Hi-Speed USB 2.0 compliant hub contnroller IC with four down-stream ports for embedded USB solutions. The EVB-USB82514 36-Pin QFN Evaluation Board demonstrates a stand alone application for the hub with all the features listed below and demonstrates the advanced power saving options and configurable port assignments. The EVB-USB82640 USB Hub Combo evaluation platform features the USB82640 Ultra Fast USB 2.0 Multi-Format Flash Media Controller. It is designed to support internal default settings and either an external I2C EEPROM for customized functionality or SPI flash device for external firmware. The EVB-USB82640 supports two USB 2.0 downstream hub ports with individual port power and over-current sense as well as one media interface. The EVB-LAN7500-LC is an Evaluation Board EVB that utilizes the LAN7500 to provide a fully functional, bus-powered USB to Ethernet interface. The EVB-LAN7500-LC provides a fully integrated Ethernet port and USB port via the onboard RJ45 and USB Type A connectors. The onboard 4K EEPROM is used to load the EVB-LAN7500-LCs USB configuration parameters and MAC address. LAN7500 software drivers are available for Windows XP, Windows Vista, Mac OSX, Linux, and Win CE. Additional manufacturing and diagnostic tools are available for debugging and external EEPROM configuration. 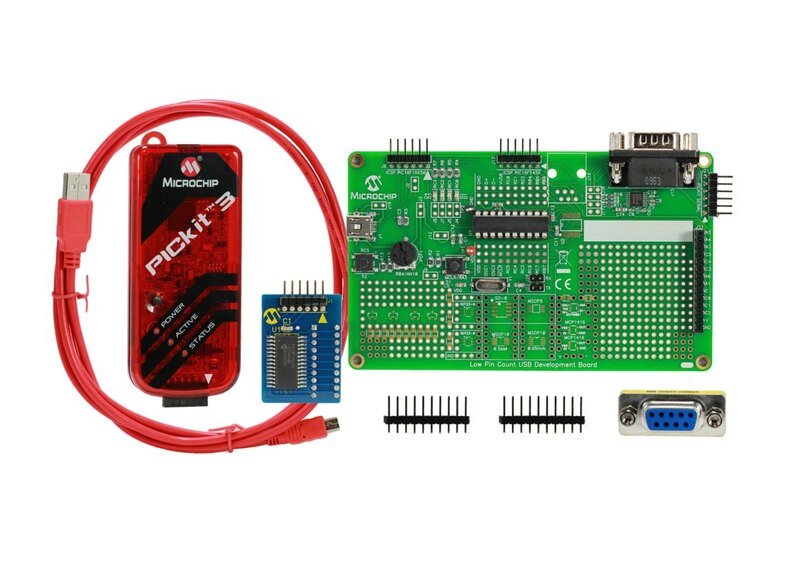 The DM164127-2 kit contains one (1) fully populated Low Pin Count USB Development Board (with PIC16F1459 DIP-20 device), one (1) PIC18F14K50 Debug Header (with adapter pins), one (1) USB mini B cable, one (1) DB9 Null Modem mini adapter, and a Quick Start Guide. 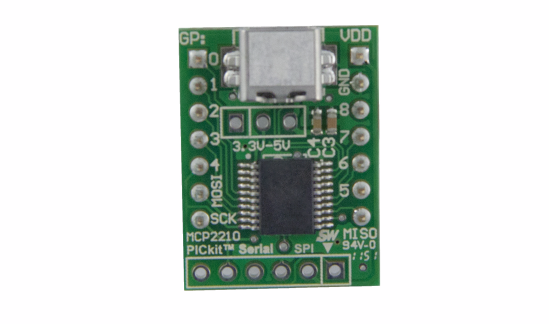 The MCP2210 Breakout Module can be used with either the MCP2210 Motherboard or as a standalone USB to SPI (Master) bridge module. 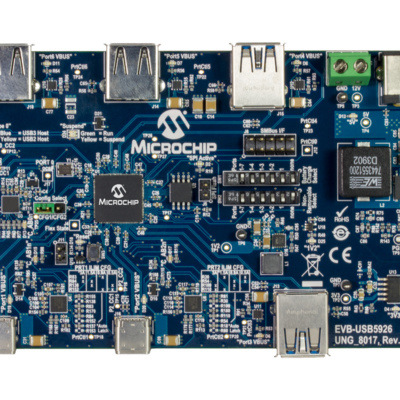 The breakout board provides all the needed signals in order to assist the user in building their own boards using the MCP2210. The MCP2210 Utility software allows custom device configuration. In addition, a DLL package is also available in order to allow development of custom software utilizing the MCP2210. VOLT (MIKROE-1198) is a smart USB Li-Polymer battery charger, featuring the MCP73832 power management controller. The provided screw terminals (VSYS and GND) can be used to power your target device from battery or USB. When USB is connected, the battery is charging and VSYS outputs 5V. Power LED is active when either USB or battery is connected, while Charge LED lights up only when battery is charging. Additional screw terminals with STAT and SENSE lines enable battery charge monitoring. 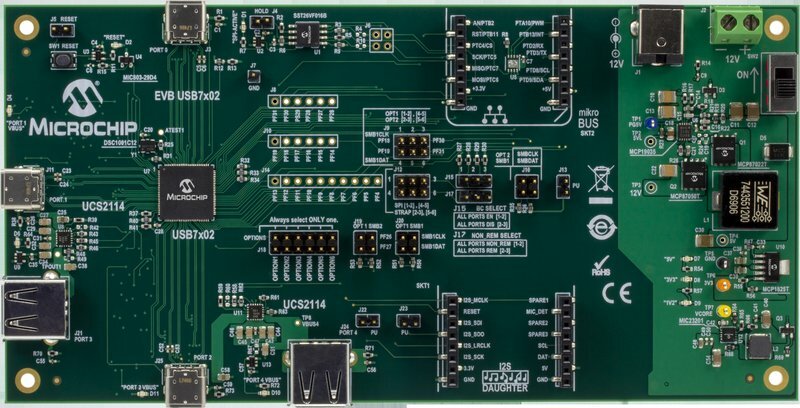 The UCS2112 Dual USB Port Power Evaluation Board demonstrates the features of two USB ports, capable of data transfer and charging up to 6A. Charging limits, accumulated current, alerts and attachment status can all be configured, exercised and/or observed on a graphical user interface. The EVB-UFX6000-TC is a USB 2.0 ViewSpan graphics solution that utilizes 480 Mbps Hi-Speed USB technology as a display interface. Capable of interfacing with VGA, DVI and HDMI-enabled displays without glue logic. ViewSpan is capable of supporting full 1080p HD resolution over a USB Hi-Speed link. The EVB-UFX7000 is a USB 3.0 ViewSpan5G graphics solution that utilizes 5 Gbps SuperSpeed USB technology as a display interface. 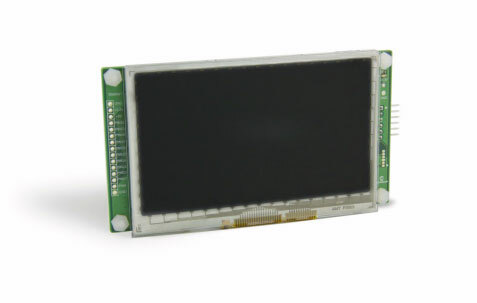 Capable of interfacing with VGA, DVI and HDMI-enabled displays without glue logic. ViewSpan5G is fully backward-compatible with USB 2.0 and is capable of supporting full 1080p HD resolution over either a USB SuperSpeed or Hi-Speed link. The USB3750 family of Hi-Speed USB switches were specifically designed to enable a range of applications to achieve a single-port connectivity. Their design provides a substantial 1GHz of bandwidth, allowing for the passage of robust USB 2.0 signals. The USB3750 family of highly-integrated USB 2.0 switches contains port detection and port protection within a small footprint package. The USB3320 is a highly integrated full featured Hi-Speed USB 2.0 transceiver based on our proven ULPI interface. The USB3320 provides an extremely flexible solution in a convenient 5x5mm QFN package. It supports a wide variety of different reference clock frequencies with one single part, as well as accepting clocking from crystal/resonators and the ULPI 60MHz Clock-In mode. As with previous generations of our USB transceivers, the USB3320 integrates a USB switch and both ESD and VBUS over-voltage protection devices. 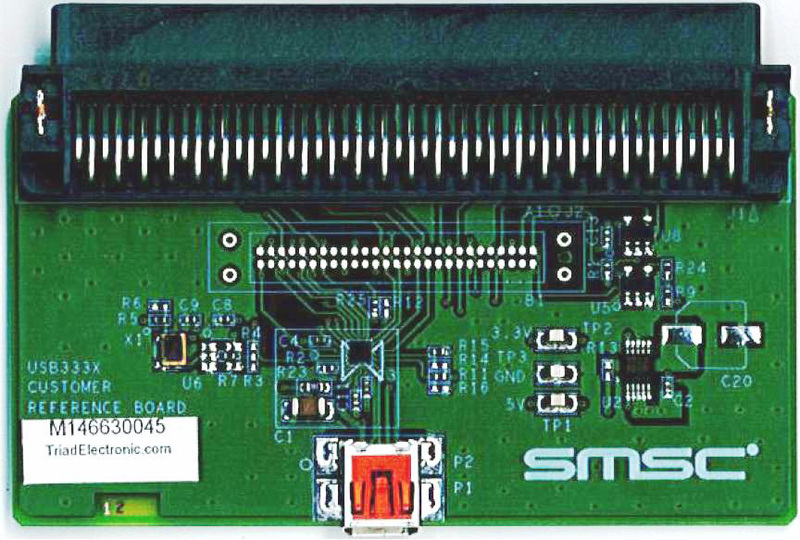 The SMSC EVB-USB2250 is an Ultra-Fast USB 2.0 Multi-Slot Flash Media Controller with CF, SD, MS, and xD connectors. The EVB-USB2250 Evaluation Board demonstrates a standalone high speed Mass Storage Class Peripheral Controller intended for reading and writing to more than 24 popular flash media formats from the Compact FlashTM CF, SmartMediaTM SM, xD Picture CardTM xD, Memory StickTM MS, Secure Digital SD, and MultiMediaCardTM MMC families. 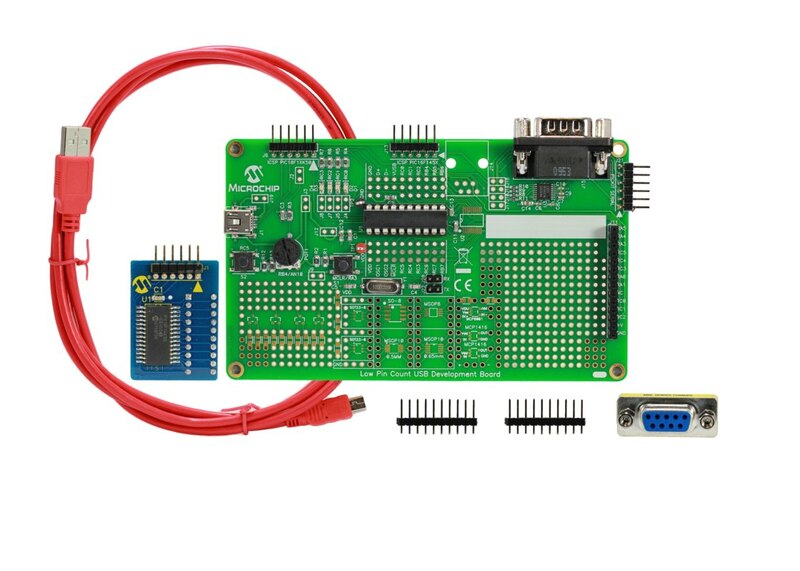 This cardreader Evaluation Board features an on-board EEPROM for configuration and serial number data, as well as a socket for a flash media device for firmware updates. 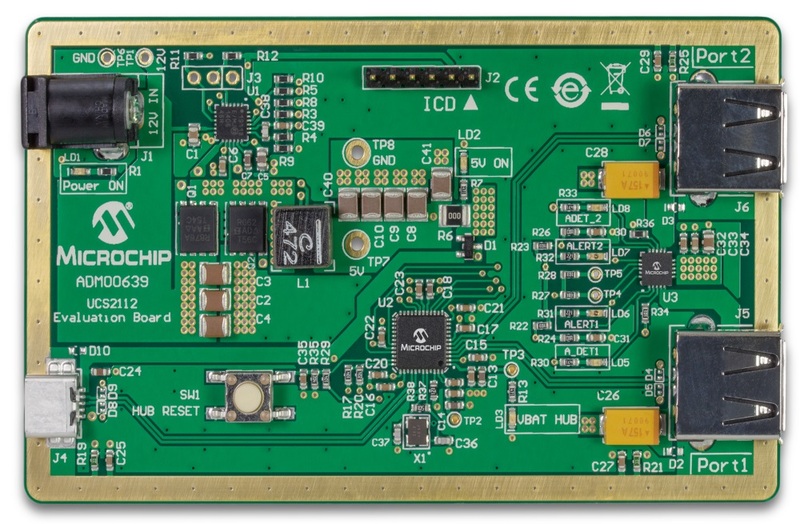 The EVB-USB2422 Evaluation Board demonstrates a standalone application for the USB2422 low-power, full-featured, configurable Hi-Speed USB 2.0 compliant hub. The board includes two downstream ports with individual port power control and battery charging support on each port. This evaluation board is designed to support internal default configuration settings as well as custom configuration through an optional SMBus interface. 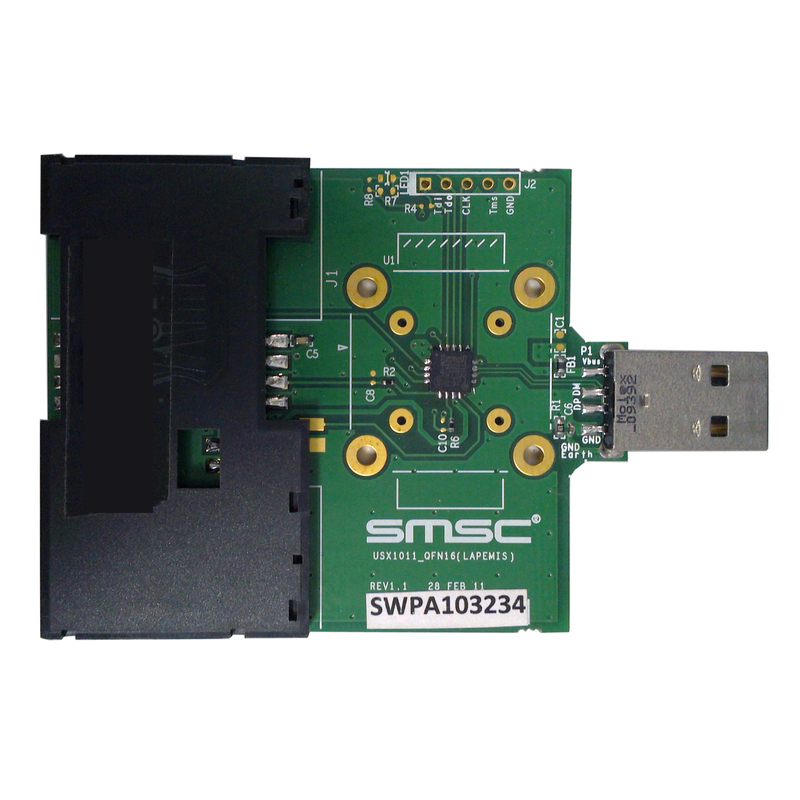 The SMSC USB2514 is a Low-Power Full-Featured Full-Speed USB 2.0 compliant hub with four down-stream ports. 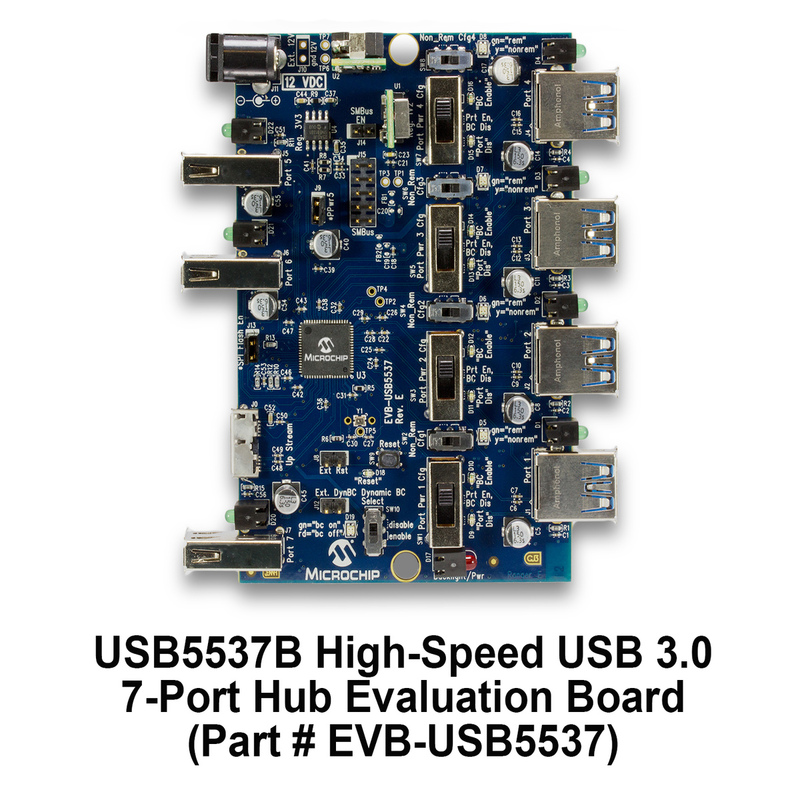 The EVB-USB2514B-FS Evaluation Board demonstrates a standalone application for the hub. It is designed to robustly demonstrate the unique features of this device using a low-cost PCB implementation with individual port power control. The Evaluation Board is Full-Speed 12Mbits/s and Low-Speed 1.5Mbits/s compatible with self-powered operation available. 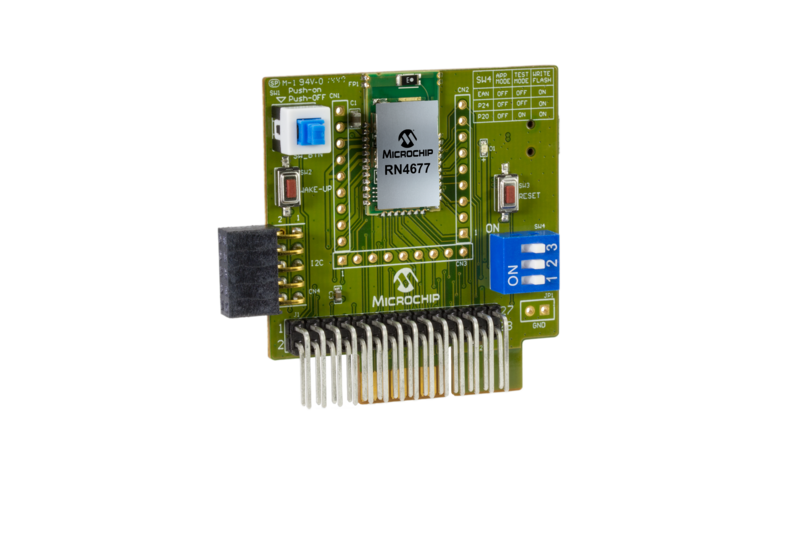 The SMSC USB2514B MultiTRAK™ is a Low-Power, Full-Featured, OEM configurable, Hi-Speed USB 2.0 compliant hub with four downstream ports. Each of these downstream ports in the USB2514B device is capable of supporting battery charging per the USB Battery Charging Specification, Revision 1.1. The EVB-USB2514BC Evaluation Board demonstrates a standalone application for the hub with advanced power saving options and configurable port assignments. It is designed to support internal default configuration settings and an external optional I2C EEPROM for custom configured functionality. The SMSC USB2517 MultiTRAK™ is a Low-Power Full-Featured High-Speed USB 2.0 compliant hub with seven down-stream ports. 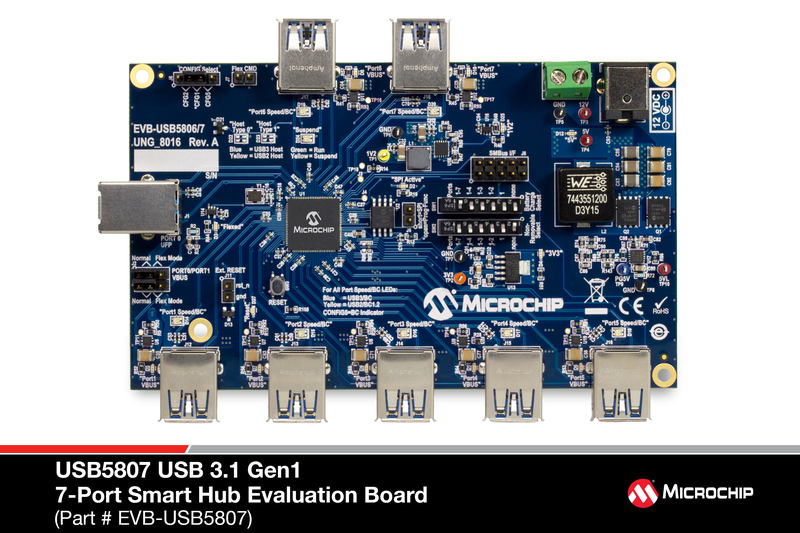 The EVB-USB2517 Evaluation Board demonstrates a standalone application for the hub with advanced power saving options and configurable port assignments. It is a demonstration and low-cost evaluation platform that robustly demonstrates the unique features of this device using a low-cost PCB implementation with individual port power control. The EVB-USB2517 is designed for a low cost, power efficient implementation of a High-Speed USB Hub that supports internal default hub configurations as well as optionally supports an external EERPOM configuration. This evaluation platform supports a red LED indicator for the High-Speed hub state as well as standard USB Amber/Green LED indicators for operational state indication. 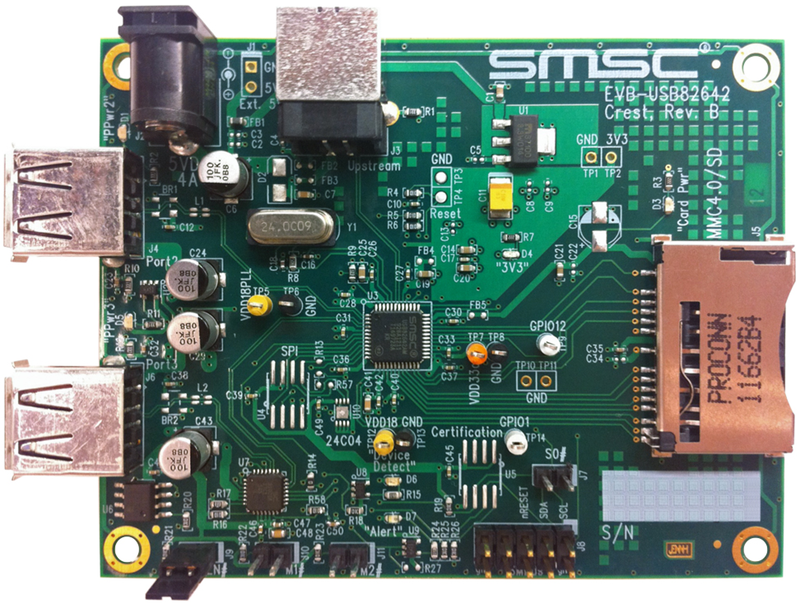 The SMSC USB2640 contains an Ultra Fast USB 2.0 Hub, Flash Media Controller, and Protocol Bridge Combo. The EVB-USB2640 Evaluation Board demonstrates a standalone application for developers of the following applications: Flash Media Card Reader/Writer, printers, desktop and mobile PCs, consumer A/V, and flat panel displays, among others. It supports media connectors for the xD Picture CardTM xD, Memory StickTM MS, Secure Digital SD, and MultiMediaCardTM MMC interfaces. The EVB-USB2640 is designed to demonstrate the unique features of this device using a low-cost PCB implementation with individual port power control for the two downstream USB 2.0 ports. It is designed to support internal default configuration settings and either an external I2C EEPROM optional for customized configured functionality or SPI flash for customized configured functionality or for external firmware. 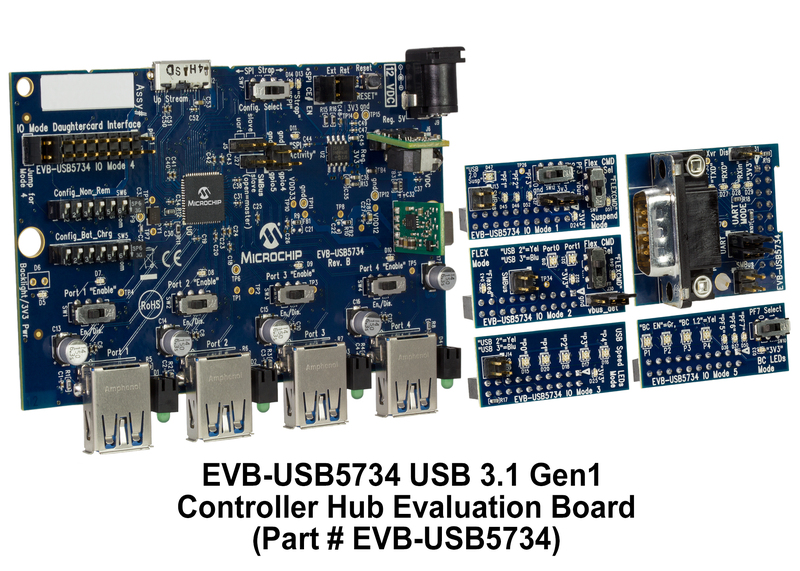 The EVB-USB2642 is a customer evaluation board that contains an Ultra Fast USB 2.0 Multi-Format Flash Media Controller, a USB 2-port Hub Combo, and a UCS81001 Port Power Controller with Charger Emulation. 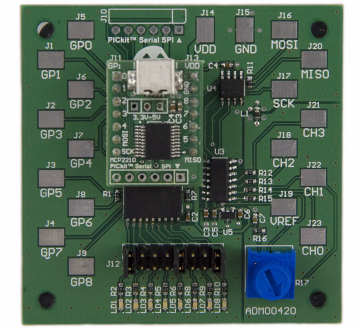 This evaluation board supports an external certification chip, an SMBus header interface to monitor I2C traffic from the USB to I2C bridge, as well as either an external I2C EEPROM or SPI flash device for customized functionality. 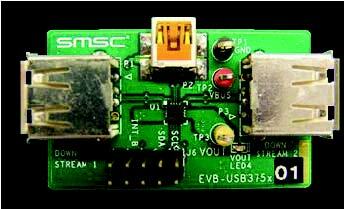 The SMSC USB2660 contains an Ultra Fast USB 2.0 Hub, Flash Media Controller, and Protocol Bridge Combo. 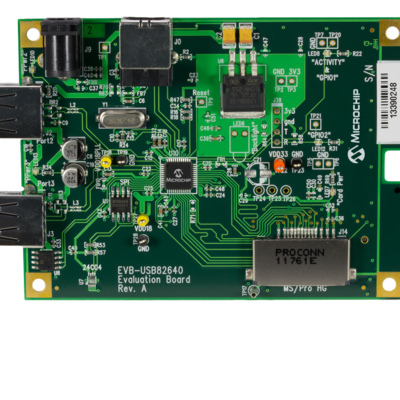 The EVB-USB2660 Evaluation Board demonstrates a standalone application for developers of the following applications: Flash Media Card Reader/Writer, printers, desktop and mobile PCs, consumer A/V, and flat panel displays, among others. 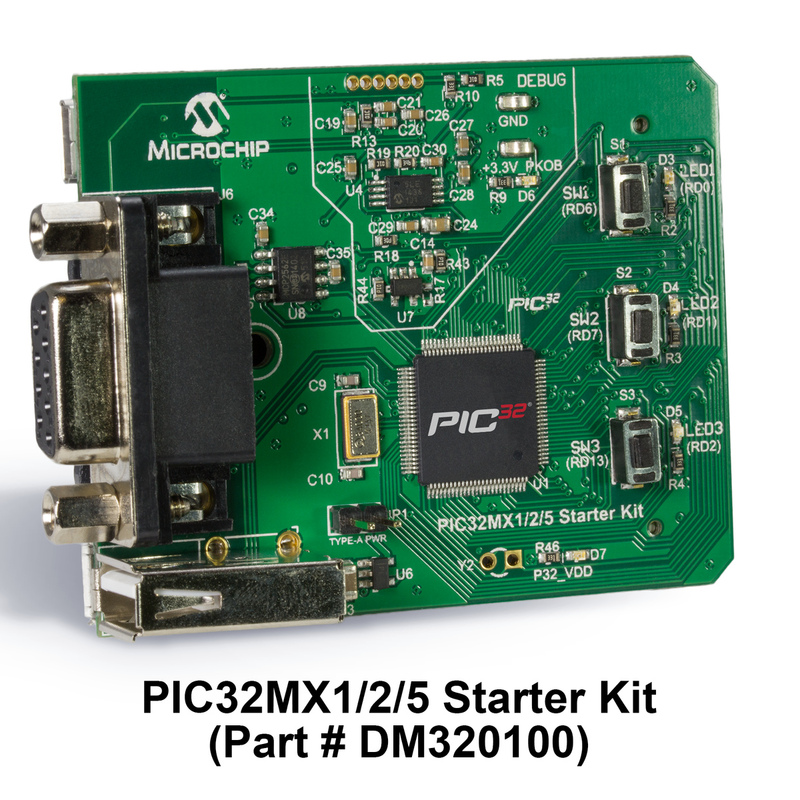 It supports media connectors for the xD Picture CardTM xD, Memory StickTM MS, two Secure Digital SD, and MultiMediaCardTM MMC interfaces. The EVB-USB2660 is designed to demonstrate the unique features of this device using a low-cost PCB implementation with individual port power control for the two downstream USB 2.0 ports. It is designed to support internal default configuration settings and either an external I2C EEPROM optional for customized configured functionality or SPI flash for customized configured functionality or for external firmware. Microchip's USB333x family of Hi-Speed USB 2.0 transceivers delivers enhanced USB functionality for the portable market with support for the latest USB-IF Battery Charging 1.2 (BC 1.2) specification. This family of devices dramatically reduces the time required for battery charging and system bill-of-material (BOM) costs by up to 60% over competitive solutions. 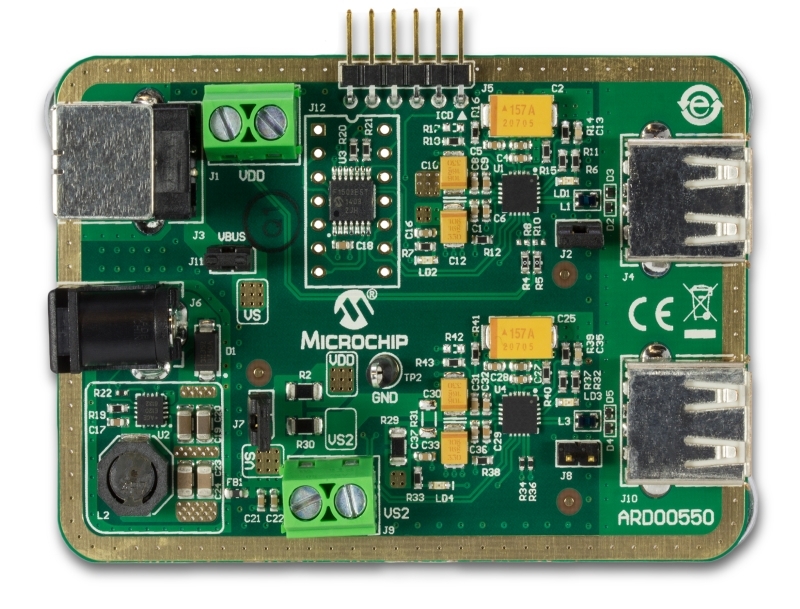 Microchip has positioned itself as a leader in providing innovative solutions in support of the latest USB-IF Battery Charging specification. The new USB333x provides an excellent compliment to USB charging ports by enabling portable devices to negotiate up to three times the charging current compared to a standard USB port, resulting in faster battery charging. The USB333x is designed in a small footprint package and reduces the number of external components through the integration of voltage regulators and other discretes. 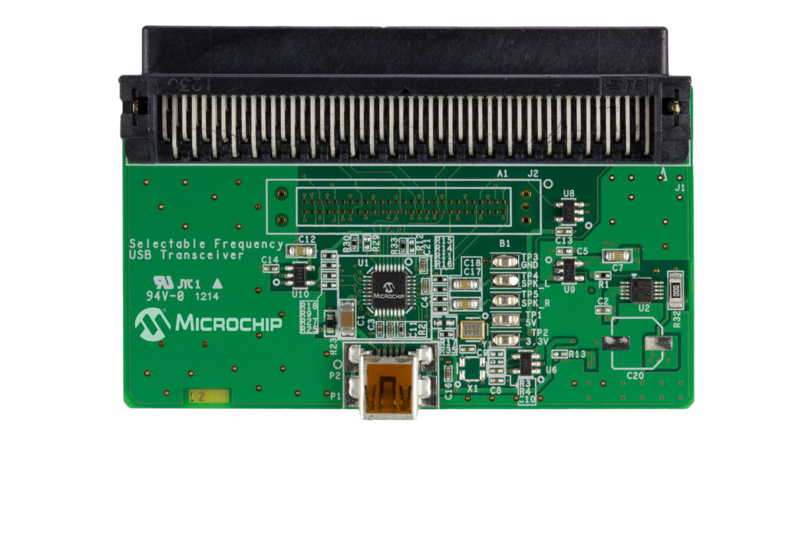 Additionally, Microchip's complimentary and confidential USBCheck™ online design review service is available for customers who select the USB333x for their application design-in*. The USB3340 family of Hi-Speed USB 2.0 transceivers delivers enhanced USB functionality for the portable market with support for the latest USB-IF Battery Charging 1.1 (BC 1.1) specification. This family of devices dramatically reduces the time required for battery charging and system bill-of-material (BOM) costs by up to 60% over competitive solutions. The USB3340 provides an excellent compliment to USB charging ports by enabling portable devices to negotiate up to three times the charging current compared to a standard USB port, resulting in faster battery charging. The USB3340 is designed in a small footprint package and reduces the number of external components through the integration of voltage regulators. The USB3343 family of Hi-Speed USB 2.0 transceivers delivers enhanced USB functionality for the portable market with support for the latest USB-IF Battery Charging 1.1 (BC 1.1) specification. This family of devices dramatically reduces the time required for battery charging and system bill-of-materials (BOM) costs by up to 60% over competitive solutions. The new USB3343 provides an excellent compliment to USB charging ports by enabling portable devices to negotiate up to three times the charging current compared to a standard USB port, resulting in faster battery charging. The USB3343 is designed in a small footprint package and reduces the number of external components through the integration of voltage regulators. The EVB-USB3503 is a fully functioning stand-alone USB hub designed for evaluation of the Microchip USB3503 USB 2.0 HSIC high-speed hub controller. 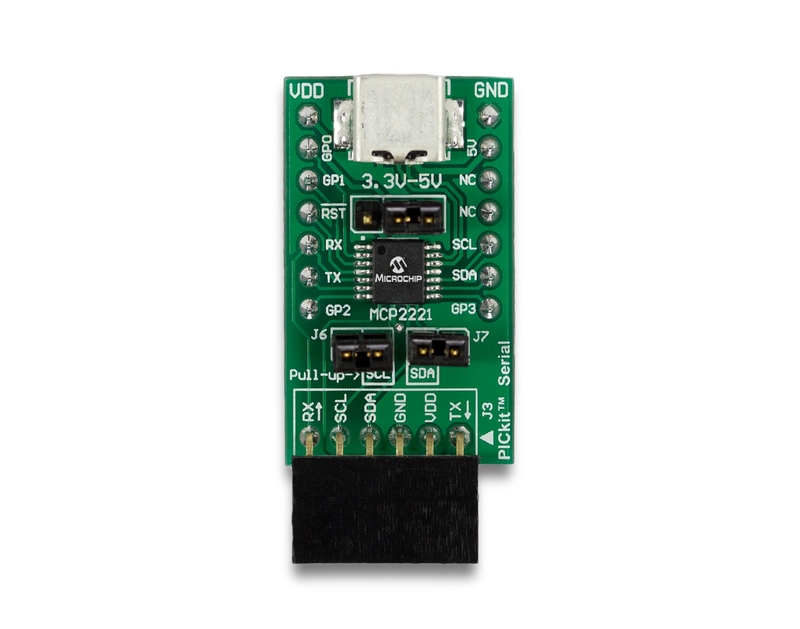 This tool also provides access to the USB3503s HSIC upstream port, three USB 2.0 downstream ports and I2C interface. 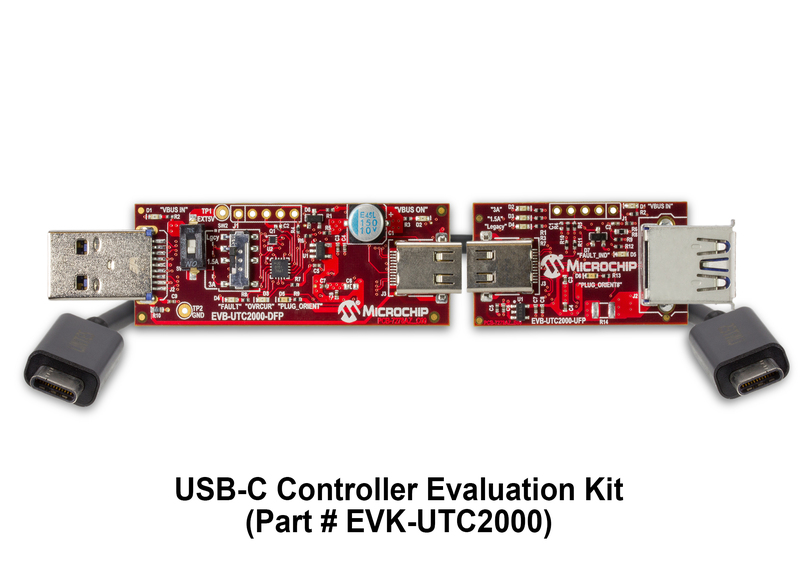 Included evaluation software allows the user to configure and monitor the EVB-USB3503 when used with a Total Phase Aardvark adapter (not included). This tool is the ideal solution for early USB3503 system integration and software development. The EVB-USB3503Q is a fully functioning stand-alone USB hub designed for evaluation of the Microchip QFN version of the USB3503 USB 2.0 HSIC high-speed hub controller. This tool also provides access to the USB3503s HSIC upstream port, three USB 2.0 downstream ports and I2C interface. Included evaluation software allows the user to configure and monitor the EVB-USB3503Q when used with a Total Phase Aardvark adapter (not included). This tool is the ideal solution for early USB3503 system integration and software development. 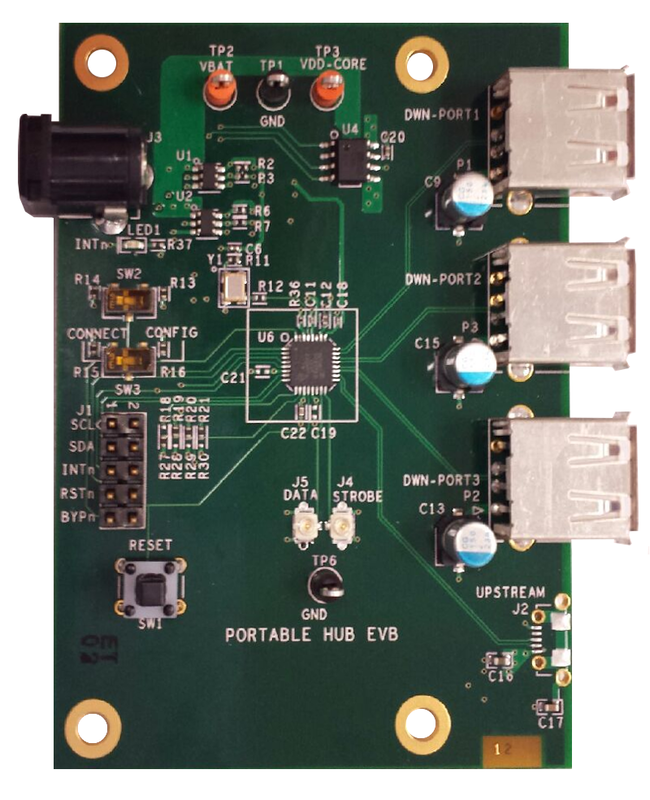 The EVB-USB3613 is a low-power, full-featured and OEM configurable Multi-Transaction Translator MTT USB 2.0 hub controller evaluation board with three downstream ports optimized for portable applications. The 3-port hub is fully compliant with the USB 2.0 Specification, USB 2.0 Link Power Management LPM Addendum, High-Speed Inter-Chip HSIC USB Electrical Specification Revision 1.0 and attaches to an HSIC upstream port as a high-speed hub. The 3-port hub supports low-speed, full-speed and high-speed downstream devices on all of the enabled non-HSIC downstream ports. The one HSIC downstream port supports only high-speed operation. The USB3613 supports both upstream and downstream battery charging BC1.2 detection. The USB3740 family of Hi-Speed USB switches were specifically designed to enable a range of applications to achieve single-port connectivity. Their design provides a substantial 1GHz of bandwidth, allowing for the passage of robust USB 2.0 signals. The USB3740 is a high-performance USB 2.0 switch providing excellent flexibility with very low current consumption in an extremely small package. The USB3803 USB 2.0 hub controller offers three downstream ports with highly integrated portable features specifically designed for mobile embedded applications where more than one USB port is required. The USB3803 can easily attach to an upstream port as Full-Speed or Full/Hi-Speed USB hub, while supporting Low, Full and Hi-Speed downstream devices on all enabled downstream ports. Additionally, extremely low current standby and bypass mode features make the USB3803 well-suited for mobile, battery-powered embedded systems where power consumption, small package size, minimal BOM and Battery Charger (BC) detection capabilities are critical design requirements. 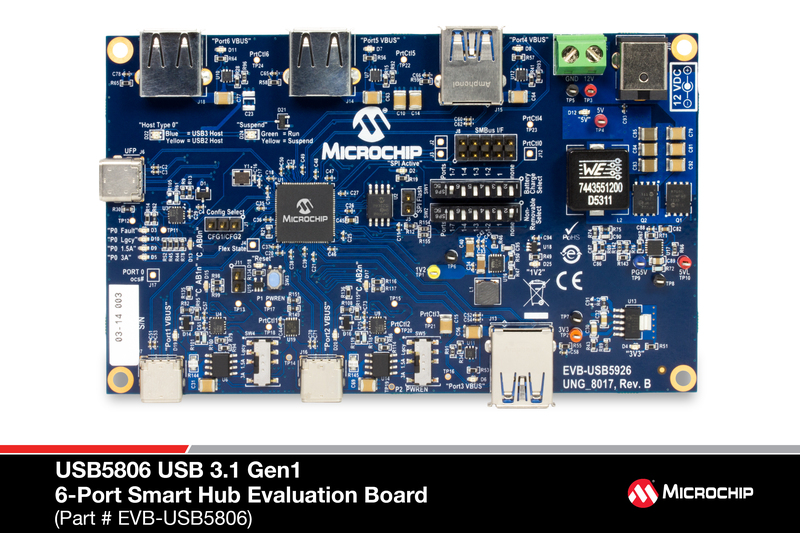 The EVB-USB3813 is a low-power, full-featured and OEM configurable Multi-Transaction Translator MTT USB 2.0 hub controller evaluation board with three downstream ports optimized for portable applications. The 3 port hub is fully compliant with the USB 2.0 Specification, USB 2.0 Link Power Management LPM Addendum, High-Speed Inter-Chip HSIC USB Electrical Specification Revision 1.0 and attaches to a USB 2.0 upstream port as a high-speed hub. The 3-port hub supports low-speed, full-speed and high-speed downstream devices on all of the enabled non-HSIC downstream ports. The one HSIC downstream port supports only high-speed operation. The USB3813 supports both upstream and downstream battery charging BC1.2 detection. 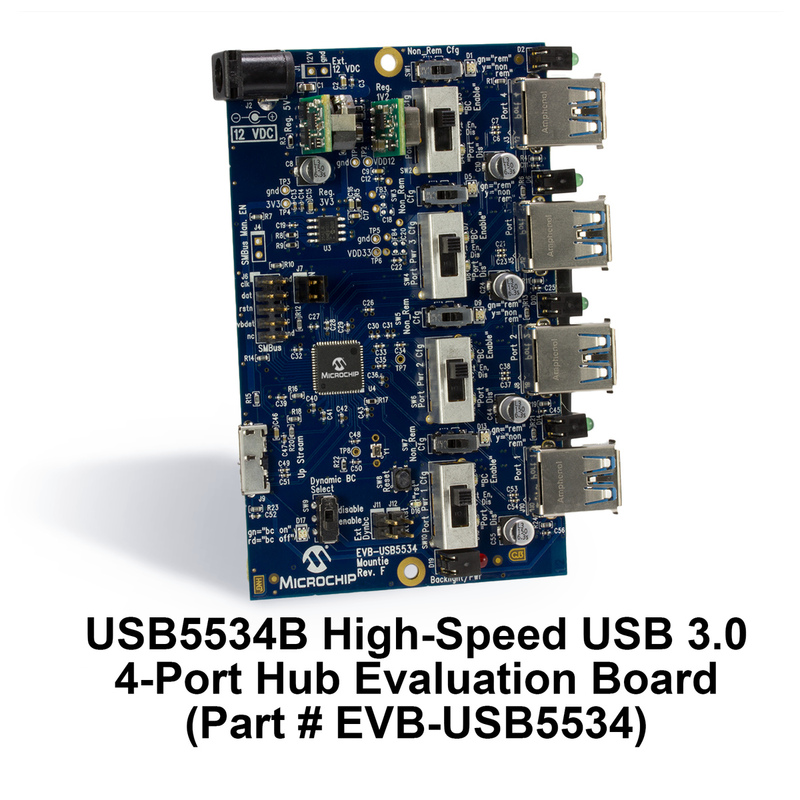 The EVB-USB4624BCUH is a 4-layer RoHS-compliant Evaluation Board that utilizes the USB4624 to provide a fully functional 4-port high-speed hub with battery charging capabilities. The USB4624 is fully compliant with the USB 2.0 Specification, USB 2.0 Link Power Management LPM Addendum, High-Speed Inter-Chip HSIC USB Electrical Specification Revision 1.0 and supports both a HSIC and a USB 2.0 upstream host. The USB4624 has four downstream ports and supports both upstream and downstream battery charging. The USB4624 is configured for operation through internal default settings and supports custom configurations through the ProTouch tool or an external 8-Mbit SPI Flash device. The EVB-USB4624BCUH demonstrates driver compatibility with Microsoft Windows 7, Windows XP, Mac OS X 10.4 and Linux hub drivers. EVB-USB4640 Revision C Evaluation Board is for the SMSC USB4640 Hi-Speed HSIC USB hub and card reader combo solution. It has an upstream port compliant to HSIC 1.0 using dual UFL connectors, a supplement to the USB 2.0 Specification. It also has two downstream ports that are compliant with the USB 2.0 Specification. The goal of the EVB-USB4640 is to provide an application platform for developers of the following applications: Flash Media Card Reader/Writer, printers, desktop and mobile PCs, consumer A/V, flat panel displays, and 3G/4G handsets, smartphones, cell phones, and other mobile devices. The EVB-USB4640 is a demonstration and evaluation platform featuring the USB4640 Ultra Fast interface between an HSIC enabled host and today's popular flash media formats. It is designed to support internal default settings and either an external I2C EEPROM for customized functionality or SPI Flash for external firmware. 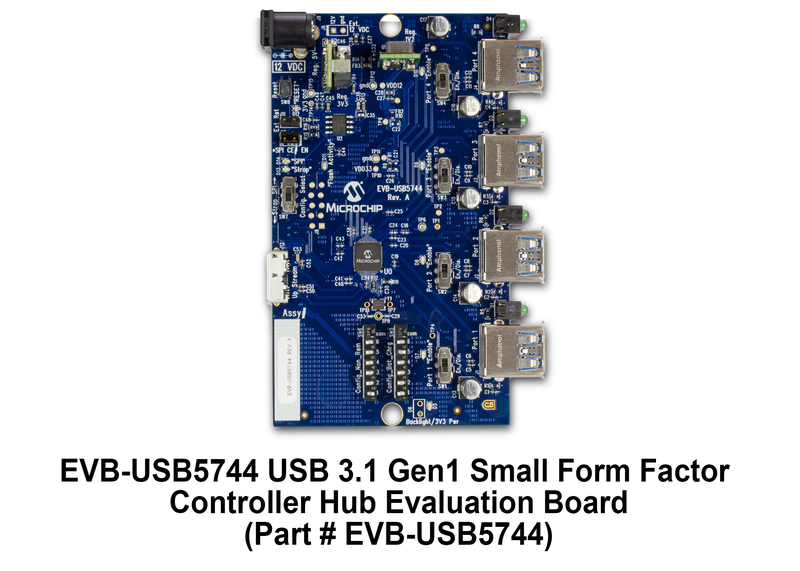 The EVB-USB5534 is a customer evaluation board that features the USB5534B 4-port USB 3.0/2.0 hub. The USB5534B hub supports SuperSpeed SS, Hi-Speed HS, Full-Speed FS, and Low-Speed LS USB signaling for complete coverage of all defined USB operating speeds. All four of the downstream ports are USB 2.0 and USB 3.0 compliant. 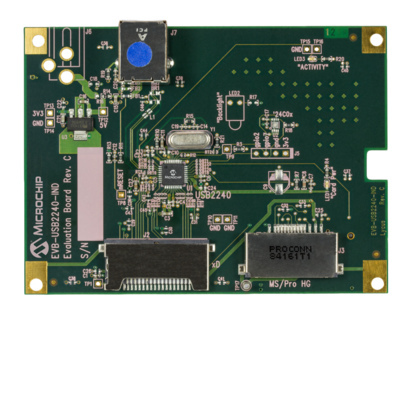 This evaluation board supports an external SMBus header interface as well as a 2-Mbit SPI flash device for customized functionality. The EVB-USB82642 is a customer evaluation board that contains an Ultra Fast Automotive Grade USB 2.0 Multi-Format Flash Media Controller, a USB 2-port Hub Combo, and a UCS81001 Port Power Controller with Charger Emulation. 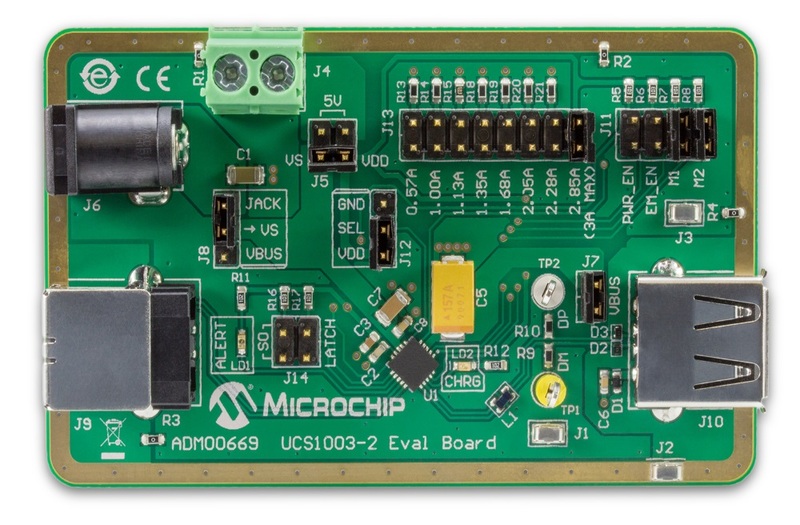 This evaluation board supports an external certification chip, an SMBus header interface to monitor I2C traffic from the USB to I2C bridge, as well as either an external I2C EEPROM or SPI flash device for customized functionality.